A tag in Breeders Assistant is a temporary marker you can apply to a record, such as an animal or a contact record. 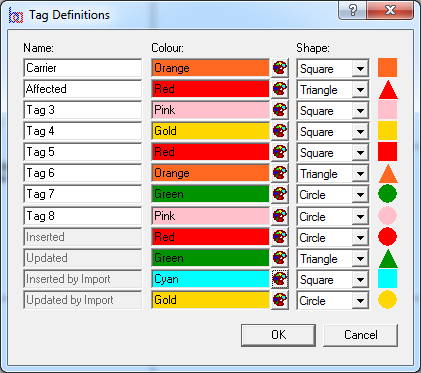 Tags can be applied either manually (literally, select a record and tag it by pressing Ctrl-T). Or they can be a side effect of an operation such as a search or data import, or an ancestor/descendant search, or an inconsistency checks on your data (e.g. to locating animals claimed to be born before one or other parent). Tagged records are highlighted in the main window by showing them in a different color. Navigate quickly between the tagged records (use F8 and F9). Restrict the display so it only shows the tagged records. The untagged records are temporarily hidden. Limit a data export so it only includes the tagged records. Delete the tagged records in a single operation. Restrict a find+replace operation to just the tagged records. Print a report that only includes the tagged records. 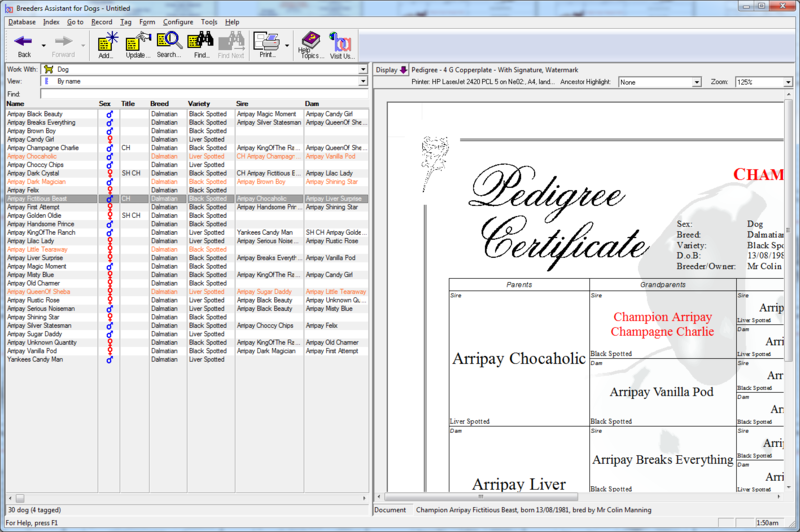 Print pedigrees for all the tagged records in a single step. Starting with v5.24, the Professional Edition (or better) has similarity searching which can be used to find records similar to a given search pattern. E.g. 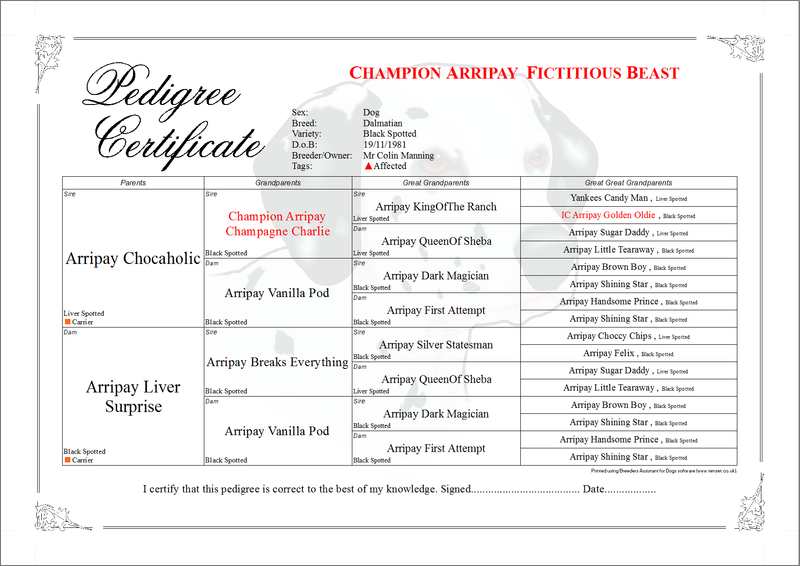 you might use this to find multiple records for the same animal due to spelling mistakes. The identified records can be tagged, and then you can simply browse the tagged results and decide what to do. Another addition in v5.24 is double detection. This is where the software will tag adjacent records in the index that have the same text in the field by which the list is sorted. E.g. to find any animals which have been mistakenly assigned the same registration number just set the list to the sorted by registration number, do a doublet search, tag the results, then limit the list to display only the tagged records. The Professional Edition also extends the tagging feature by adding multiple tags. 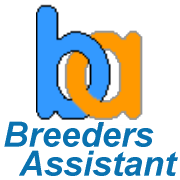 This extension was first included in Breeders Assistant 5.21. The multi-tagging feature lets you define up to 8 different tags for each record type (animals, contacts, etc.). Each tag has a name and symbol. 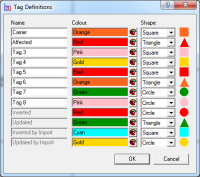 You can then assign tags to individual records, either manually or as a side effect of another operation e.g. an ancestor/descendant search. 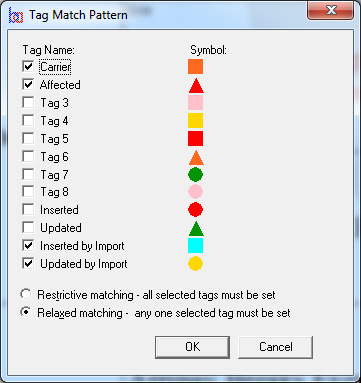 The current 'tag match pattern' is used to highlight records in the record list. 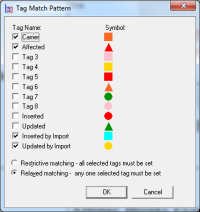 By default, the tag match pattern is set to highlight a record if it has any tags applied to it. But you can change it so that it will only highlight records matching a specific tag combination. 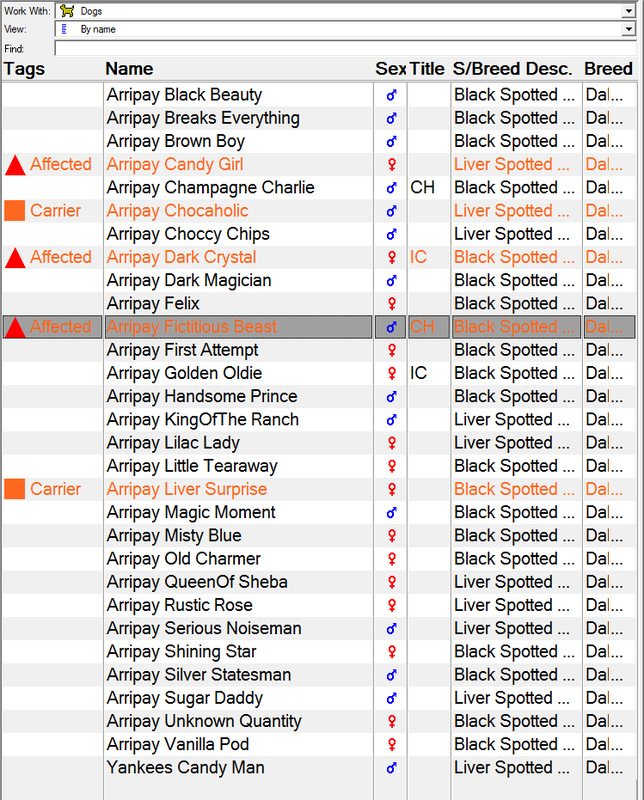 Tag-matching records are shown in a different colour in the record list. The tags can be displayed in a column to the left of the record list. Another useful new option is that you can now restrict the record list so that it only displays tag-highlighted records, with all others temporarily hidden from view. 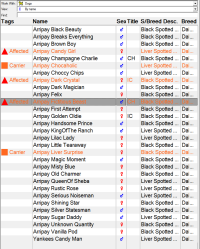 You can display tag symbols within printable pedigrees, either as symbols appended to the animal/ancestor names like this, or listed as if the tags were fields like this.